And it will be an amazing experience in your trip. Hoi An is a haven for gastronomist around the world. There are a lot of delicious foods in this ancient town with the mixture of both orient and western styles. 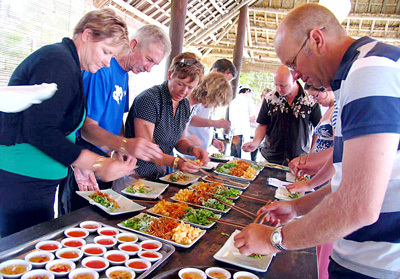 Lonely Planet listed “taking a cooking class in Hoi An” as one of top best 10 traveling experiences in the world. Taking a cooking class, you will have chance to make famous local foods, go to the local market to buy materials and enjoy your achievement. It is one of the best ways to explore about the culture and tradition of that destination or that country. Hoi An is ideal place that foreign tourists love to learn cooking because of its amazing culinary and its poetic and super beautiful surroundings. The cooking classes in Hoi An are usually held in charming gardens or unique ancient houses. You will be guided to go to the local market and buy fresh raw materials, to make featuring dishes of Hoi An in particular and of Vietnam in general such as Cao Lau, Quang noodle, Pho, different types of bun, etc. 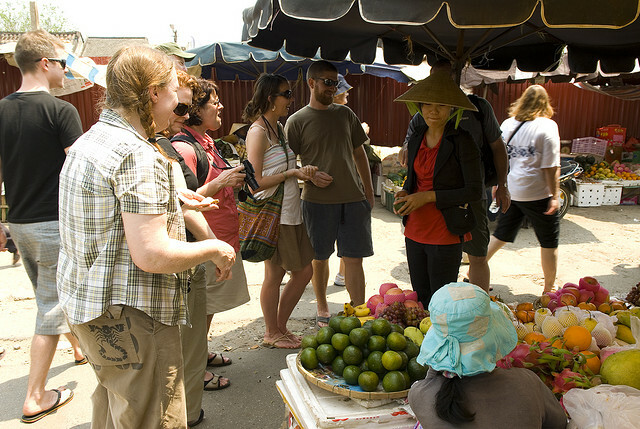 A lot of international visitors find interested in learning to make foods when they visit Hoi An. Once they try extremely wonderful foods in here, the next thing they will do is taking a cooking class to know how to make them. It is really an impressive experience that you should not miss. Making foods, seeing and talking to friendly and lovely salesperson in market, learning how to choose fresh raw products and good ingredients in Vietnamese style as well as learning how to prepare a daily meal in Vietnam are main things in a cooking class. 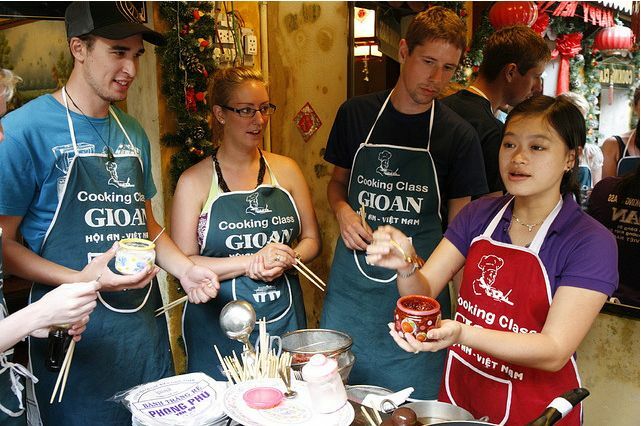 Cooking class in Hoi An is opened in a lot of places in the Old Quarter and restaurants in the town.